I have a lot of Greek family on my wife's side and they have always enchanted me with tales of Lefkada's (often referred to as Lefkas) beauty. Of course I couldn't wait to see it and with us living in Italy it wasn't that far away. I was a little concerned that it wouldn't live up to their high praise. I decided to visit anyway. When I arrived I realized it wasn't like they described at all...it was better. So much so that I now return each and every summer. Like Zakynthos and Kefalonia, Lefkas is very verdant - often called the emerald of the Greece Islands. You'll see why it has earned this name if you visit soon after the winter rains in May and early June. The island is at its most	beautiful, with green hills and valleys. Wild flowers add a touch of colour	to the meadows. The weather is hot and warm but	it's not that crushing heat of July and August. The huge influx of tourists from	Northern Europe hasn't really begun yet, although by mid-June the	numbers do start increasing. Unlike most Greek islands, Lefkas hasn't given itself over to wild pursuits of hedonistic pleasure ( combined with lots of alcohol ) found on so many an island. A few resorts are a bit "lively" but we normally base ourselves far from any wild and drunken tourists, near the quaint and authentic village of Kalamitsi, at a place called Sunset View Studios. Kalamitsi is a joy to experience. Spend any time here and you'll notice the locals start greeting you and making you feel like a local. There are great walks in and around the village too, beaches aren't far away and the cottages and churches are picture-postcard perfect. I'm a little obsessed with coasts (I suppose that's why I started this website) but on this island I'd advise you to head away from the coast into the interior, to towns like Egklouvi. Here houses are built the traditional stone way and old men shout (in what passes for gentle conversation in Greece) in squares under the olives trees whilst playing cards and backgammon. Nearby the old ladies sit on wooden chairs and gossip or sew. 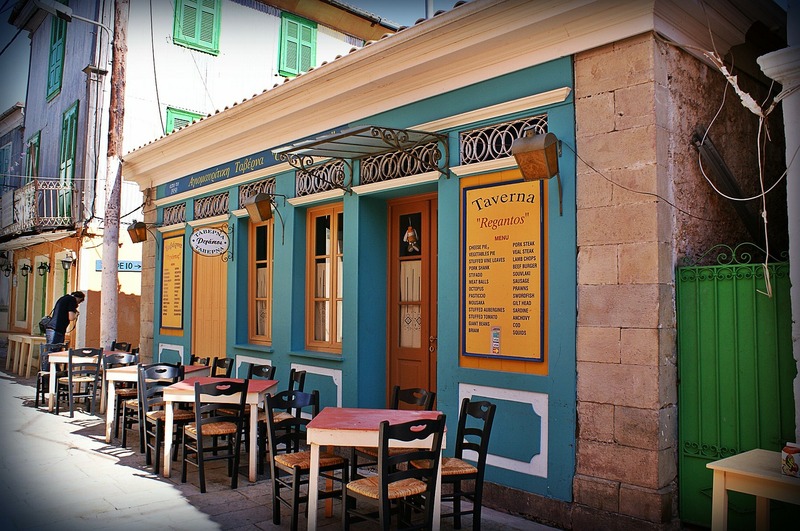 If you want a little more excitement and less of quiet and old fashioned Greece then Nidri is the best bet. While not a huge island it is best to rent a car (these guys offer the best deals). 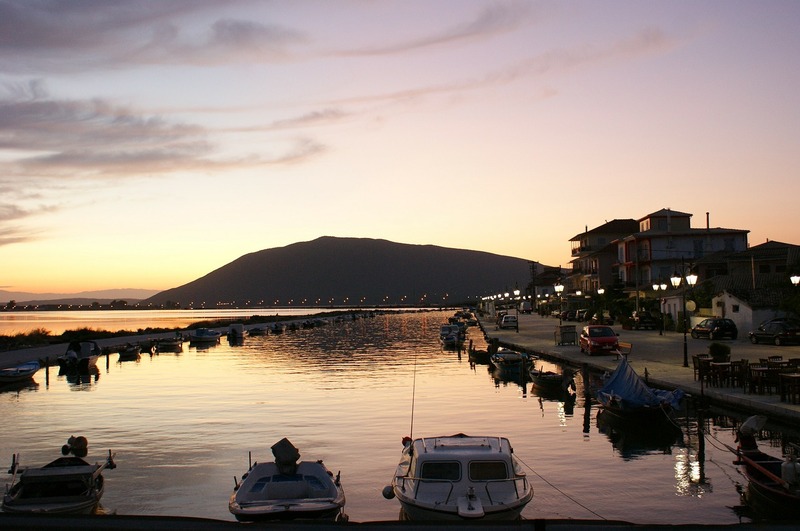 Having a car gives you more freedom to explore the island and even the mainland; unlike on other islands you won't need to catch a ferry either - Lefkas is connected to the mainland by bridge. Combine a car with lots of walking and a boat trip out to Skorpios Island (The famous island once belonging to Onassis) and you'll have found the perfect way to discover the secrets of this remarkable island. If you've flown into Kefalonia there are regular ferries to Lefkas from the port of Fiscardo. Otherwise you can get to the island by car across the bride connecting it to the mainland. 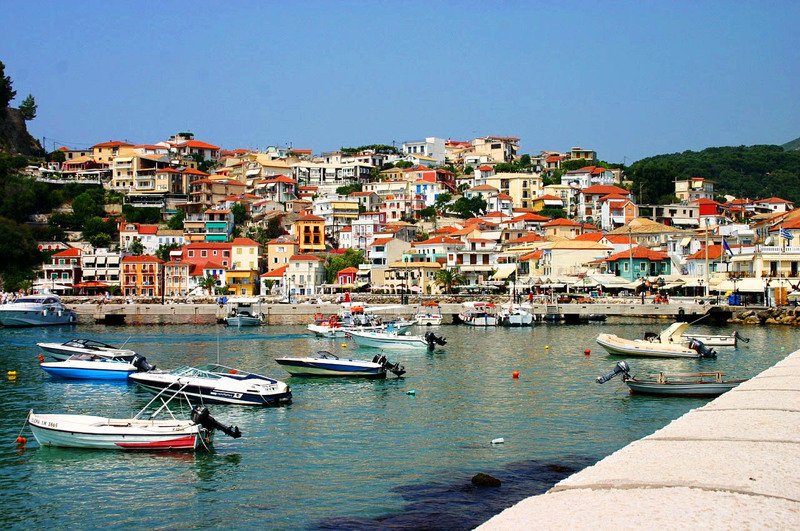 Most people arrive directly on the island by plane, aboard flights into Preveza Airport (the island's airport). For the cheapest offers it's probably best to check with your travel agency since many tour groups offer cut price charters in high season. This is one of the highlights of any holiday to the island. Here is a beach that is worth travelling a long way for. 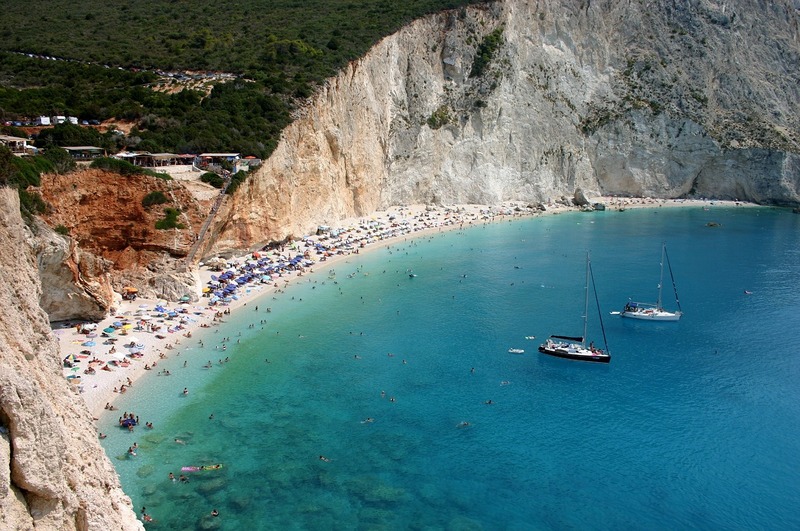 Once you've seen it you'll quickly realise why it is considered to be not only the loveliest of all the beaches on Lefkada but one of the loveliest in the Mediterranean. The only problem is that the beach gets really hot and there's no shade at all; the umbrella sellers on the beach charge up to 10 Euros for one umbrella so rather bring your own. Bring your own water (lots of it) and food too. Wear something on your feet as well because the sand (made of tiny pebbles) gets hot and is not comfortable to walk on for any distance. Personally, I'd suggest visiting very early or late in the day when all the boat trippers have gone and the temperature is a bit cooler. If you're arriving early, spend three or four hours on the beach and then leave by 11am. Make sure you go to the bathroom before you get here as the toilets are disgusting. Travelling with small children? Then rather visit the lovely Nikiana Beach on the islands east coast; here the seas are shallow and there is lovely shade to be had under the trees that grow right to the beach's edge. As a rule, all the beaches on the east coast offer shallow seas while those on the west drop-off quickly. Another east coast advantage is that it tends to be more sheltered from the prevailing westerly winds so, if it's a windy day, head east. You can get here by boat and most of the bigger resort towns offer trips, alternatively you can drive and then walk from the parking down to the beach. Parking is expensive though – four Euros – and from the parking you've 100 steps to walk down to the beach. Get here after 10am and the parking is often full.